CAP members of Georgia Wing’s Peachtree City Composite Squadron, including their commander Major David Serafin, appeared on television with an in-your-face violation of the Civil Air Patrol uniform regulation in order to promote the organization. ultramarine blue cloth sewn on the collar one inch from the front of the collar and centered. 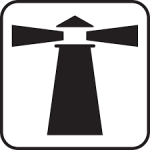 All insignia will have 1/8 inch of blue showing at the widest and tallest point of the insignia. 2.12.1.6. All members will be alert to other CAP members that may be in violation of uniform and appearance standards and provide correction to any CAP member that is in violation of uniform and appearance standards. That correction must be provided in a way that reflects CAP’s core value of respect, both of the uniform and of the other member. 2.12.1.1. All members must adhere to this manual and supplement(s) at all times. While working away from their home unit or wing, members will comply with local orders of dress, provided their standards are not less restrictive than this manual. 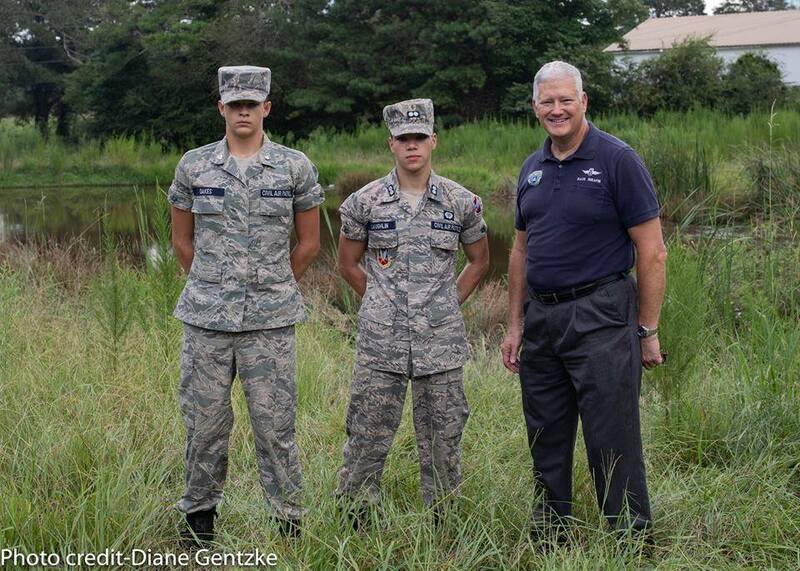 Civil Air Patrol has been circulating video of an interview conducted by WSB Channel 2’s Tom Regan regarding the fact that two cadets, [redacted], were present to provide assistance to a driver who ran his car into a bog down here in Coweta County, Georgia. Both cadets are supposed to be cadet officers of first and second lieutenant cadet rank respectively. They’ve had plenty of time to learn and endure inspections and as cadet leaders should be capable of presenting themselves to the required standards especially when supervised by their adult unit commander. So what gives with the incomplete uniform and the metal insignia on the ABUs, not assembled for a cadet field exercise in the woods, but for presentation before the television camera? Now I want to make sure this is clear to your readers. This is the very same Georgia Wing Civil Air Patrol unit that produced David Mitchell, Pete Schulz and Joel Seidband, aka the $20 Million Dollar Men, who were found by a US District Court to consider themselves above CAP regulations to comply with local Lagrange Callaway Airport rules for glider flying in 2014 and cost US taxpayers $20 Million dollars in a story that you have covered in detail here. If you think this uniform infraction is petty, you should see how some of these bastards screw with those cadet officers they don’t like for the exact same infraction in the woods where there are no cameras to embarrass the organization. The hypocrisy is sickening. 13 Comments on "CrAP Uniform Violation on National Television"
At the rank of C/2ndLT, you ARE allowed to wear metal rank until you can get the cloth rank put on. Sometimes it takes members a few weeks to get off their @$$ and get them sewn on, that’s why there is some leeway for second LT’s. I can’t believe how much CAP has changed since I was a cadet in the 1980s. I have been back as a Senior Member since mid 2010’s. I wanted to do something for my country and I was too old to go back into the Air Force so I joined CAP to work with cadets. I found that the Air Force was very missing and once an while a AF person would show up. And I find that Squadrons have to beg a place to have meetings unless you want pay out or own pocket to get things done. There is very little support from the higher ups in CAP or USAF. Where my Squadron is located, there is no AFB or any other base, then there are several uniforms to choose from, WTF! To give an example, I recently went to a SAREX. I counted eight different uniform combos. There was only two uniforms that I remember when I was a cadet. Our brand is severely diluted because of this. But if you don’t want to cut your hair or your beard or get in shape, we have a uniform for you. The obesity problem makes us look bad as a “healthy” SAR organization. I guess I wanted to bring back the pride and uniformity of the USAF to CAP. The cadets want it, but for the most part except for seniors who work with cadets. Most could not give a darn! Most Seniors, many of which are senior citizens, just want to fly and do nothing else. There is nothing wrong with that, but what if an old geezer has a heart attack in flight. Who is going to fly the plane? There are young eyes watching us as a mentors, and You are who they are watching every time you put that uniform on. Holly Fieglein is gonna teach these little boys how to roll their sleeves! More screw-ups out of Georgia Wing, where gliders go to die. Check this out. Hey there Beaconeers! It looks like CAP National has taken your critique to task and is revising all the photos they originally published on this to undo the uniform violation. 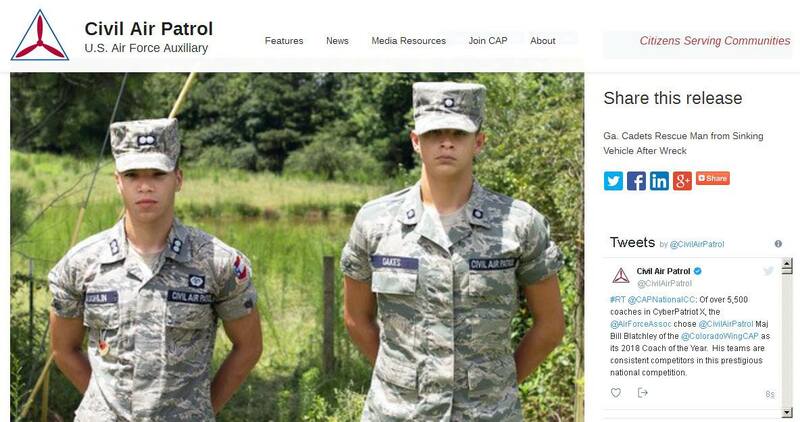 Are they poorly photo-shopping or did they have the cadets pose for a new photo, but still without the Georgia Wing patch and the GA116 Patch? Add a link to the video or the video itself because the dirt bags may one day imply that you photo shopped this, no? I am not a member, so this may be a stupid question. 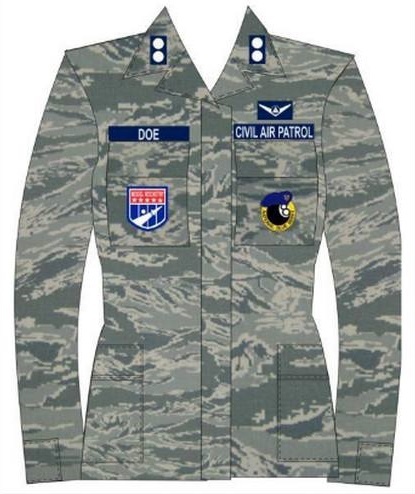 Why are the current Civil Air Patrol name plates that members are wearing a darker Navy blue and not the more garish ultramarine blue that is specified in the regulations? Is the Air Force aware of this switcheroo? Dark blue tapes and cloth insignia are worn on the ABU. On the BDU, which is a couple of years from being phased out, dark blue or ultramarine blue may be worn, without mixing the two. Damn, this is pf amazing. Today’s corrupt message? If you are more important than everyone else in your unit because you just happened along the scene of an accident, you can violate the “at all times” CAP uniform regs. Imma gonna fup my yearbook picture by wearing metal insignia. The way their sleeves are rolled are also a violation of CAPM 39-1…5.1.1.1 “Long sleeves may be rolled up; if rolled up, sleeve material must match shirt and will touch or come within one inch of forearms when arm is bent at a 90-degree angle”. Same wording used in the ABU wear instructions. Also saw another GAWG article on a first woman in squadron history promoted to C/2d Lt and the Cadet had the metal rank pinned on her collars and not on epaulets.